When it’s dark and damp, or pouring buckets, all our hearts and bodies crave for is something warm and comforting. 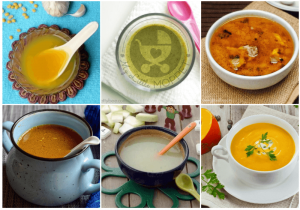 And what can be more comforting than a warm bowl of soup? But while you comfort your senses and your mind, you also need to make sure that you’re giving your body the protection it needs to fight the illnesses that abound during this season. 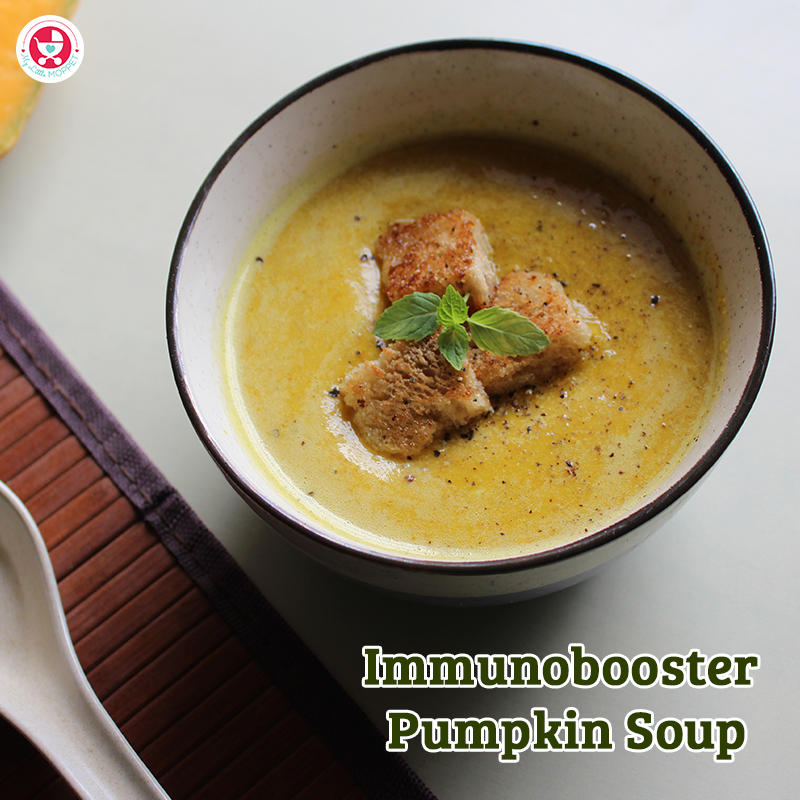 That’s why we’ve got you a multitasking recipe today, that’ll heal you from the inside out – our very own Immunity Boosting Pumpkin Soup!! 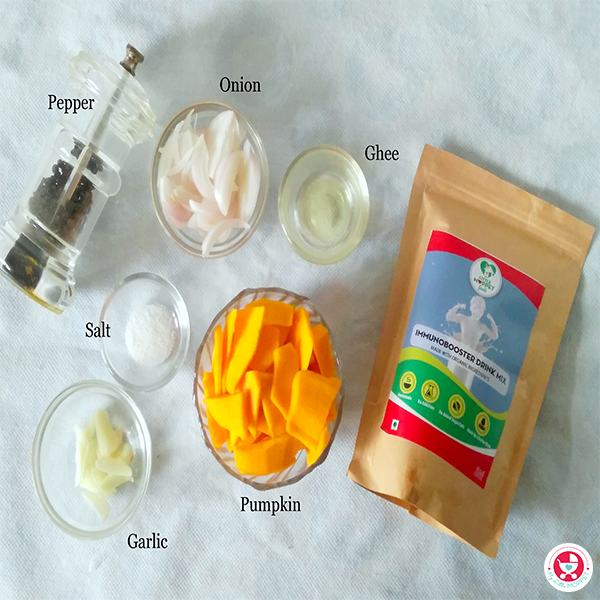 Pumpkins are known for their natural immune boosting properties, and we’ve given it an extra hand by adding Little Moppet Foods’ Immunobooster to the mix! 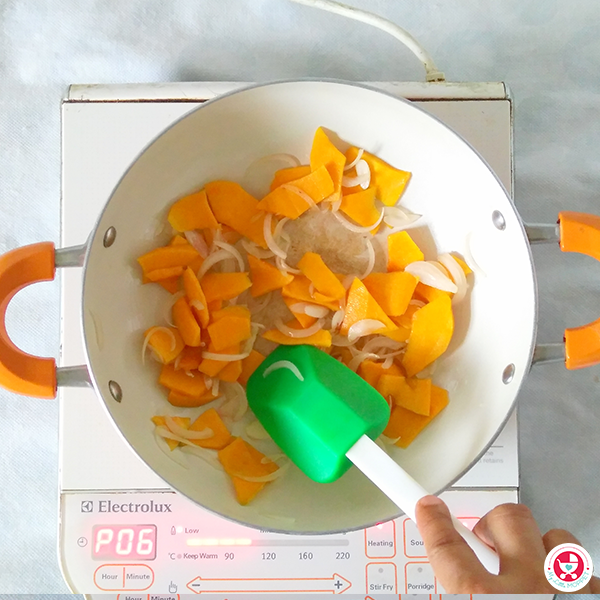 1.Heat ghee in a pan. 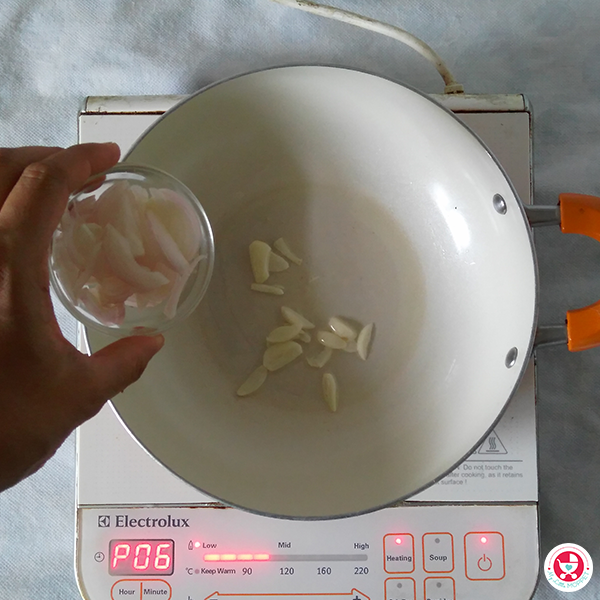 Add finely chopped or minced garlic and saute for few seconds. 2.Add sliced onions and saute until they turn soft. 3.Next toss in the pumpkin pieces and stir fry for another 1-2 minutes. 4.Add 1 1/2 cup of water followed by salt and black pepper and give a quick stir. 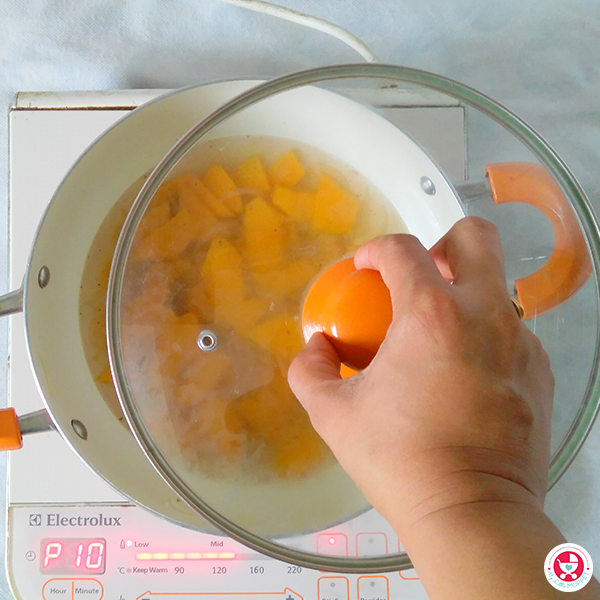 5.Cover and cook until the pumpkin is soft . 6. 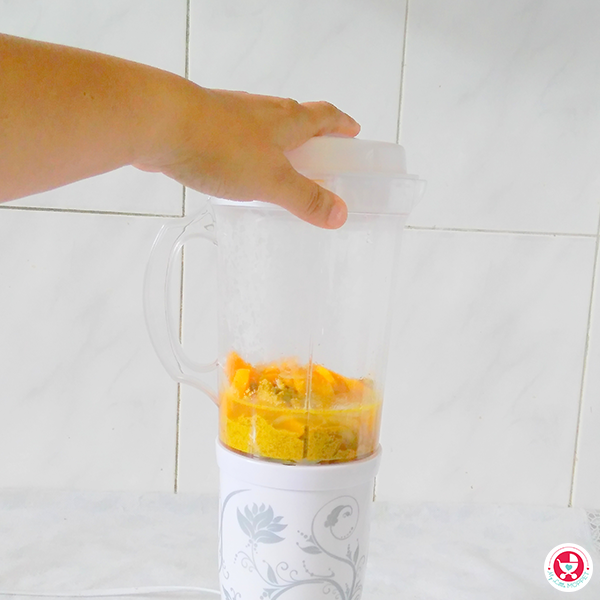 Add the Immunobooster drink mix powder and blend the mix either with a hand blender or pulse it in a mixer jar to get a creamy smooth soup. 7.Top the warm soup with fresh cream or serve. Add some warm garlic bread for a comforting, light meal. Pumpkins are incredibly nutritious, filled with nutrients like vitamins A, B6, and C, magnesium, iron, and potassium. 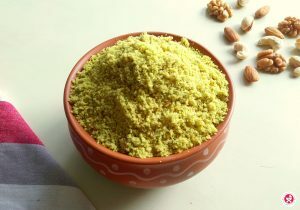 These help to boost your immune system, improve your mood and are even known to reduce cancer risk. 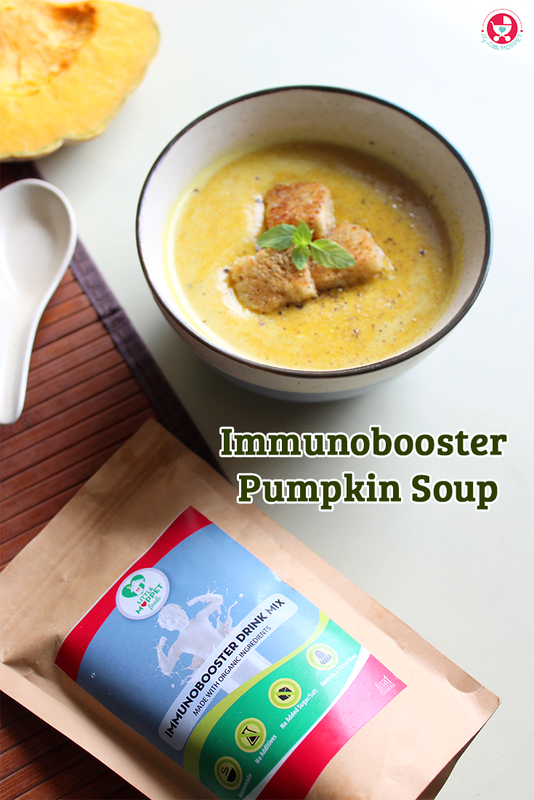 The special part of today’s unique immunity boosting pumpkin soup is that it’s made even better with a spoon of the Immunobooster drink mix, which contains oats, broken wheat, almonds, flax seeds, pumpkin seeds, sunflower and sesame seeds. 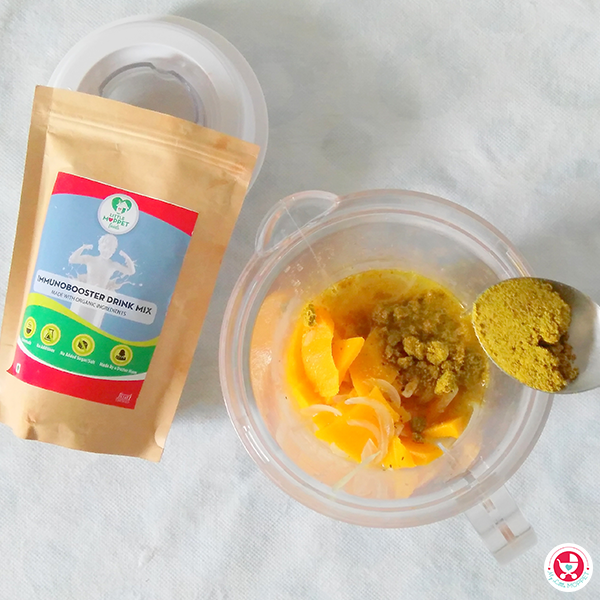 This handy powder easily blends with any hot or cold drink and can be added to smoothies, shakes, soups, parathas and more. 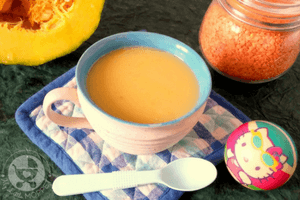 Try it out with our pumpkin soup recipe and see the difference! Wondering how to get this Immunobooster Mix? Don’t worry, we’ll send it to you! We prepare it fresh as soon as you place your order and deliver it straight to your doorstep. As the weather changes, you start hearing sniffles and sneezes everywhere! 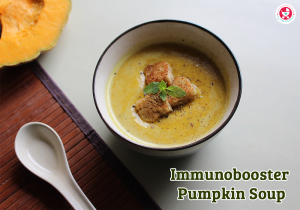 Keep your family protected with an Immunity Boosting Pumpkin soup, packed with ingredients to keep your defenses high! • Heat ghee in a pan. 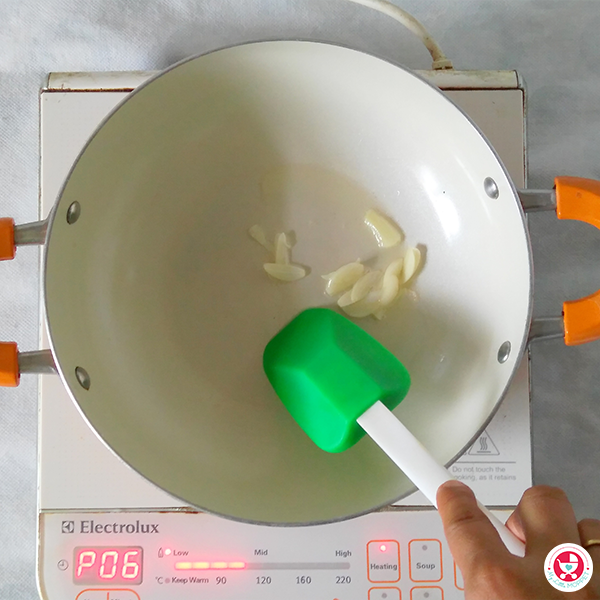 Add finely chopped or minced garlic and saute for few seconds. 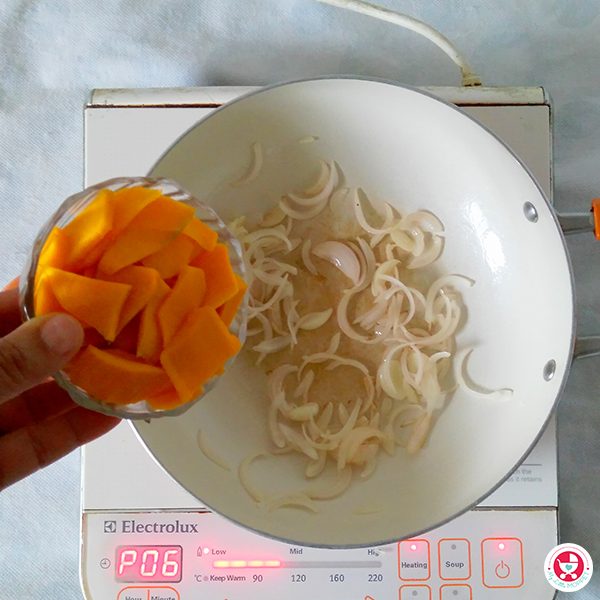 • Add sliced onions and saute until they turn soft. 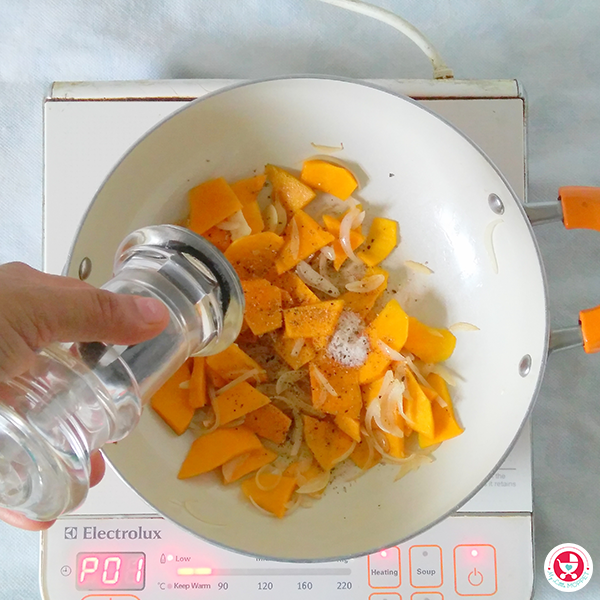 • Next add in the pumpkin slices and stir fry for another 1-2 minutes. 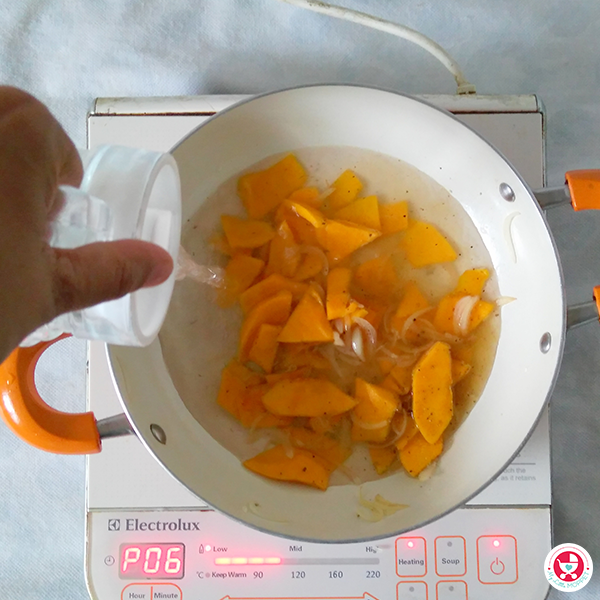 • Add 1½ cup of water followed by salt and black pepper and give a quick stir. • Cover cook until the pumpkin is soft . 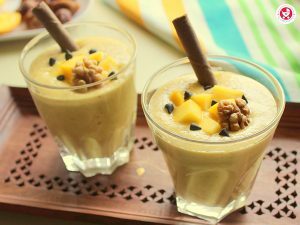 • Add the immunobooster drink mix powder and blend the mix either with a hand blender or pulse it in a mixer jar to get a creamy smooth soup. 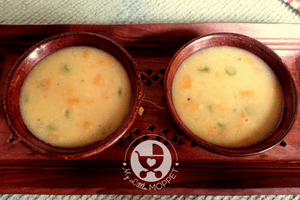 • Top the warm soup with fresh cream or serve it as it is with some garlic bread for a comforting light meal. Thanks for your interest dear. You can drop a mail with the product and address details to store@mylittlemoppet.com. Our team will get back to you with complete details. Please find the product details in the below link.